Jim Jonas, Dad of 8, here with wife PJ & children, says Goat Milk Stuff Shaving Kit is a great Father's Day gift. Shaving is a time dads have to themselves. 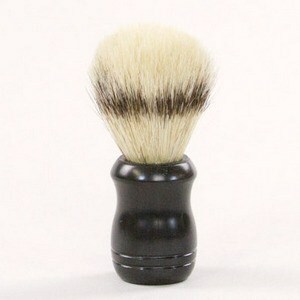 Applying great smelling natural Goat Milk Stuff shaving soap with a traditional shaving brush enhances the experience. Take it from a man who knows: eight-time dad Jim Jonas, chief soap maker at family-run Goat Milk Stuff, recommends giving a unique Father’s Day gift of a shaving kit and farm-made manly-scented goat milk soaps, reasonably priced and available on the Jonas family’s website, http://www.GoatMilkStuff.com. 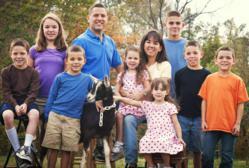 Jim, his wife PJ and their 8 children, ages 5 to 16, work together on their Indiana farm to bring America the best selection of all-natural, chemical-free goat milk soaps, lotions and more. “The Goat Milk Stuff shaving kit consists of a $10 boar-hair brush in white or black, manly Cedarwood-Vanilla scented shaving soap for $8 a bar and an attractive round brush-finished aluminum shaving bowl for $7, totaling just $25 for the three items. This is a sure way to delight dad on his special day,” said Jim Jonas. Jim’s Father’s Day recommendations also include manly scented soaps that he likes, namely Sandalwood at $6 a bar and Nautical at $6.50 for each 5-ounce bar. Both are available on the Goat Milk Stuff website. Always on the third Sunday of June, this year Father’s Day is June 19th, so orders should be submitted online at GoatMilkStuff.com no later than Tuesday, June 14th to assure two-day delivery time by US mail. 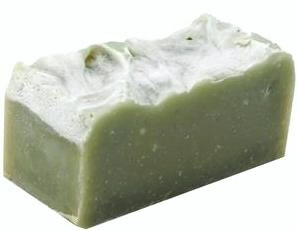 Goat Milk Stuff soaps are also good for dad’s skin, as reported recently on TV’s The Doctors, which featured PJ, Jim and the eight Jonas children and reported the healthy qualities of Goat Milk Stuff products, at http://www.tinyurl.com/bo68s2u. 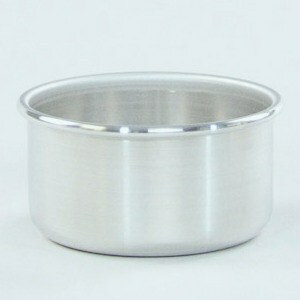 Goat Milk Stuff was also featured on The Today Show and in Oprah Magazine, at http://www.tinyurl.com/7tyy8mw. The history of Father’s Day goes back over a century as it was reportedly started in 1909 by Sonora Dodd, who was raised by her father. While celebrated through the century, it was not officially established as a U.S. holiday until 1966 when President Lyndon Johnson declared the third Sunday in June as Father’s Day. 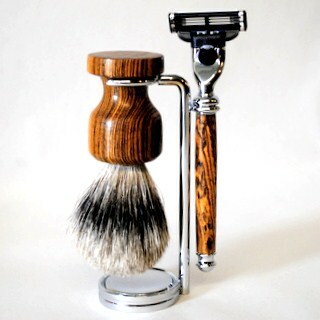 Jim added that more luxurious shaving items are also available at the company website, including an $80 custom shaving brush with pure badger hair bristles and a $20 matching razor, available in a choice of 3 exotic woods. Jim and PJ run Goat Milk Stuff with help of their children, as the five boys and three girls are developing the foundation of an excellent American work ethic by doing age-appropriate tasks from milking goats to help Jim in the barn or to assist customers in the family store or help PJ in the office or shipping room. The Jonas business maintains an active social media presence with a growing following on Facebook at http://www.Facebook.com/GoatMilkStuff, YouTube at YouTube.com/GoatMilkStuff and on Twitter at Twitter.com/GoatMilkStuff. Online at GoatMilkStuff.com, the Scottsburg, Indiana company makes and markets all-natural Goat Milk Stuff™ products including goat milk soaps, lip balms, lotions, bath bombs, laundry soap, soy candles and more. For media contact Brian Dobson at DobsonPR.com or bd(at)dobsonpr(dot)com.